ESPNChicago.com's Scott Powers counts down the days to the opening of Blackhawks training camp on Sept. 19 with a look at 20 storylines facing the team this season. 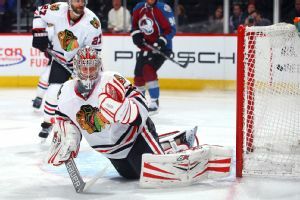 Nikolai Khabibulin, Goaltender 2013-14 cap hit: $1,700,000 | Age: 41 | Season stats: 1-0-1, 5.01 goals-against average, .811 save percentage.Season recap: The Blackhawks took a risk in signing Khabibulin at 40. Chicago Blackhawks goaltender Nikolai Khabibulin will miss 4-5 months after undergoing successful surgery to repair a torn rotator cuff in his right shoulder, the team announced Tuesday. 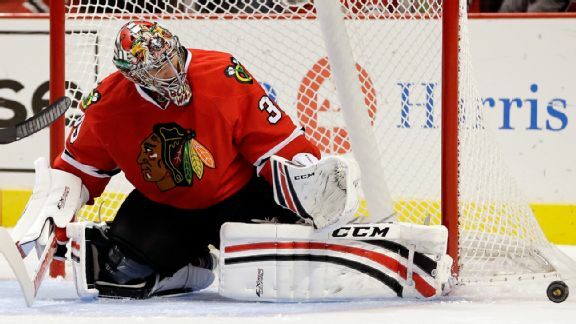 CHICAGO -- Chicago Blackhawks goaltender Corey Crawford is getting close to returning to practice with the team after missing almost three weeks because of a lower-body injury, coach Joel Quenneville said Friday. 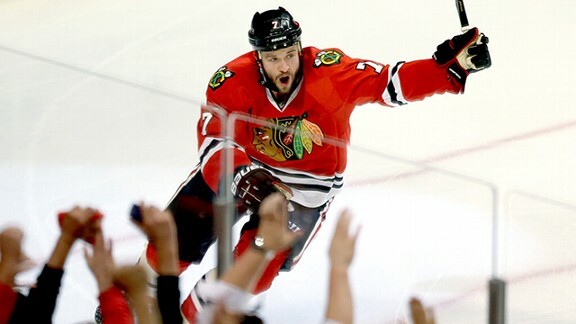 The Chicago Blackhawks played in some unforgettable games during 2013. There's still three to go, but heres a look at the 10 best so far:No. 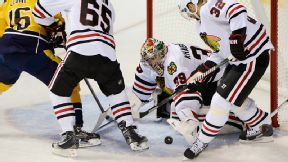 CHICAGO -- Chicago Blackhawks forward Bryan Bickell didnt feel he got enough contact against the Nashville Predators in his first game returning from a knee injury to be confident he was back to normal. CHICAGO -- The NHLs best offensive team may be a bit more offensive in the near future.The return of forward Bryan Bickell appears to be just around the corner for the Chicago Blackhawks. CHICAGO -- The Chicago Blackhawks are closer to having a healthy roster of skaters again.Blackhawks forward Bryan Bickell, the teams lone forward or defenseman still injured, could return to practicing with the team as early as Friday, Blackhawks coach Joel Quenneville said. 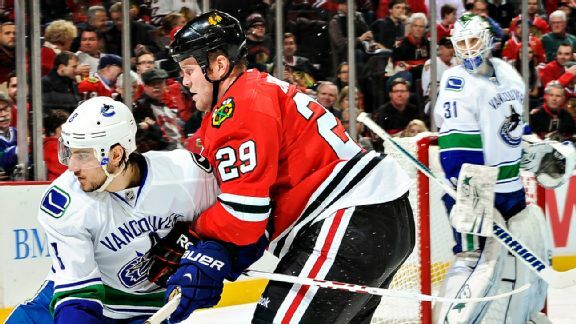 The Chicago Blackhawks constant issue this season has been their penalty kill. A season ago, it was one of the best in the league and often why they won close games.